Not only as per the realty experts and veterans in the market, but even the investors, customers, and a common man agrees that the factor of location holds the top position whilst buying a realty property. As the factor of location has a cascading effect on all the other factors such as price appreciation of the entire project and individual apartments, brand value of the developer, lifestyle of the residents of the project, and the overall sales of the project. If the project is located in the outskirts of the city or in the area that has around 5 to 10 years of time for the infrastructural and other developments, than the developer surely faces a tough time with the sales as gone are those days when customers and investors used to invest their money even in the projects located in the barren lands. Now with the changing market dynamics and times, customers want the home at the location that is well replete with all the facilities and amenities and investors want a quick return on their investment. Taking the discussion further, Under Construction Projects in Dombivli East fits the bill of all the location parameters as the station is quite close the projects making the train travel quite easier for the residents plus the road connectivity is also amazing. The location boasts of all the social and civic infrastructure facilities such as malls, schools, hospitals, colleges, fine dining restaurants, entertainment zones, and more assuring the price appreciation value. 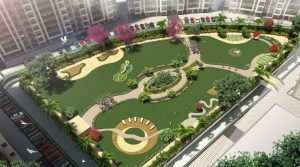 Our brand Regency Group’s New Project in Dombivli by the name of Regency Anantam is one of the best realty creations in the city of Dombivali as the location is perfect, amenities are perfect, facilities are perfect, and the price is also perfect.